Tempur-Pedic is the only mattress anywhere that utilizes the exclusive Tempur material. TEMPUR® pressure-relieving material is a breakthrough in sleep technology that has forever changed the way millions sleep. The story of this revolutionary material, the heart and soul of all Tempur-Pedic products, begins with NASA’s research to develop a material to relieve the tremendous g-forces experienced by astronauts. Our Swedish scientists, realizing the enormous potential of the material, spent nearly a decade and millions of research dollars perfecting TEMPUR material as the ultimate sleep surface. TEMPUR® material responds to your body’s unique shape, weight, and temperature, automatically adapting to support your body. So whether you sleep on your back, side, or stomach (or change positions during the night) the mattress conforms to you. You get the exact support and comfort your body needs. You will experience exceptional sleep. Tempur-Pedic mattresses reduce pressure points—those spots where your body presses against the mattress (like your shoulders, hips, and heels). Pressure points trigger discomfort, so your body shifts position—otherwise known as “tossing and turning”. Without the tossing and turning, you sleep undisturbed for a calmer, more restful night. We encourage you to visit The Sleep Gallery in Tallahassee, Florida. As exclusive Elite Retailers for the entire Tempur-Pedic product line, they will be show you the many difference with our products, and they will be able to care for all of your Tempur-Pedic needs. 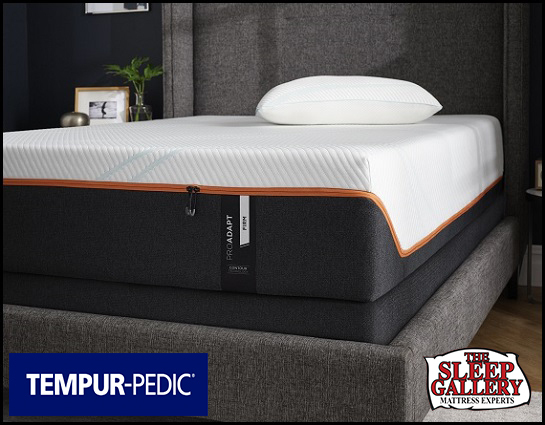 The Sleep Gallery is happy to answer any questions, discuss the various materials used with the TEMPUR-Adapt Series mattresses by Tempur-Pedic, or provide a free test rest. The TEMPUR-Adapt Series mattress line is offered in plenty of sizes to fit any room. Choose from: Twin, Twin Long, Double, Queen, King, Split King, Cal King, Split Cal King. Come experience the technology that started is all, redesigned for today. Superior cool-to-touch comfort. Two layers of premium TEMPUR Technology. Working together to continually adapt and conform to your body's changing needs throughout the night - reliving pressure, reducing motion transfer, relaxing you while you sleep, and rejuvenating you for your day. 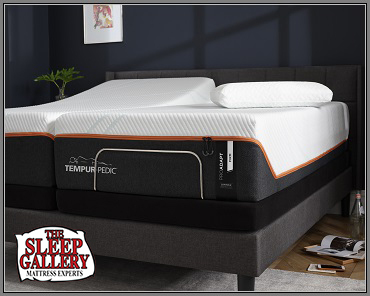 The TEMPUR-ADAPT Series offers an exceptional sleep experience at a great price point. The Sleep Gallery are Tempur-Pedic experts ready to assist you with professional care. 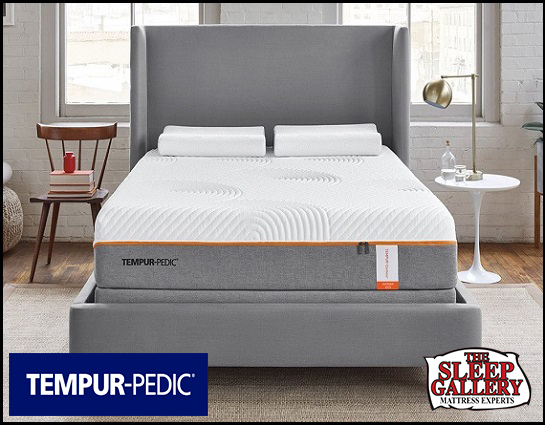 The Sleep Gallery is happy to answer any questions, discuss the various materials used with the TEMPUR-ProAdapt Series mattresses by Tempur-Pedic, or provide a free test rest. The TEMPUR-ProAdapt Series mattress line is offered in plenty of sizes to fit any room. Choose from: Twin, Twin Long, Double, Queen, King, Split King, Cal King, Split Cal King. Enjoy the continuous innovation for continuous comfort. Expertly engineered with the most advanced pressure-relieving material we've ever created to give you deep relaxing sleep that rejuvenates your whole body. This is the new TEMPUR-PROADAPT series - featuring our new TEMPUR-APR material. We invite you to The Sleep Gallery to lay on a Tempur-Pedic mattress and see for yourself what millions of sleepers already know. 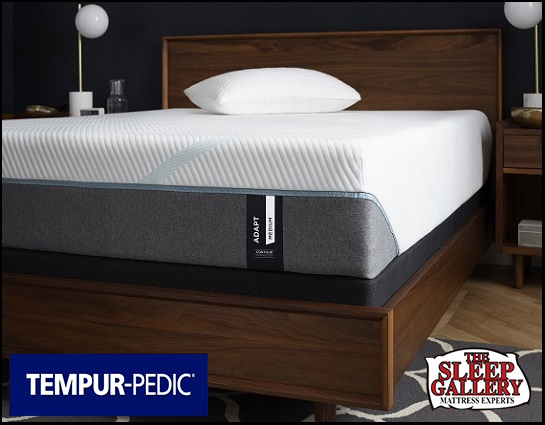 The Sleep Gallery is happy to answer any questions, discuss the various materials used with the TEMPUR-Elite & TEMPUR-Luxe Series mattresses by Tempur-Pedic, or provide a free test rest. The TEMPUR-Elite & TEMPUR-Luxe Series mattress line is offered in plenty of sizes to fit any room. Choose from: Twin Long, Double (limited Selection), Queen, King, Split King, Cal King, Split Cal King. Take on a proven sleep experience from the most luxurious models. Made with their highest density material, you'll get the most personalized sleep experience - with more surface area adapting to your body, precisely where and when you need it. 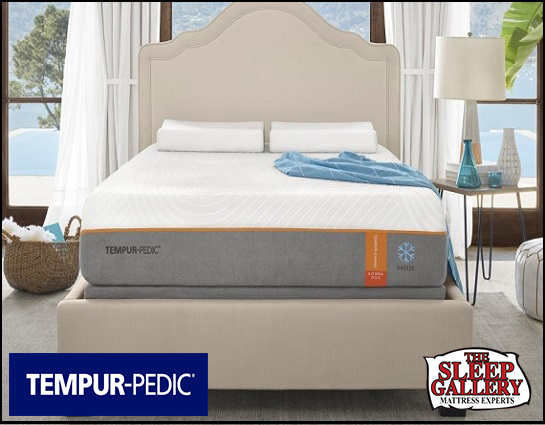 The Sleep Gallery are Tempur-Pedic experts ready to assist you with professional care. The Sleep Gallery is happy to answer any questions, discuss the various materials used with the TEMPUR-Breeze Series mattresses by Tempur-Pedic, or provide a free test rest. The TEMPUR-Breeze Series mattress line is offered in plenty of sizes to fit any room. Choose from: Twin Long, Double (limited Selection), Queen, King, Split King, Cal King, Split Cal King. Embrace cool sleep tonight. Only TEMPUR-Breeze mattresses use an integrated system of technology to keep you cool while you fall asleep. Ultra-breathable support layers channel heat away from your body. PureCool technology delivers cooling comfort you can feel. And the performance cover is cool-to-touch. So you fall asleep cool and wake up feeling refreshed. We invite you to The Sleep Gallery to lay on a Tempur-Pedic mattress and see for yourself what millions of sleepers already know.